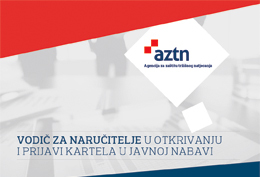 The Croatian Competition Agency (CCA) opened the infringement proceeding against Coca-Cola Hrvatska on the basis of the agreements entered into between Coca-Cola Hrvatska and its customers that contain exclusive purchasing obligations that have as their object and effect the exclusive purchasing of the products made by Coca-Cola Hrvatska. In a separate case where the CCA carried out a market investigation in the non-alcoholic beverages’ distribution market in the HORECA channel in the territory of the Republic of Croatia, the CCA came across a business cooperation agreement that was concluded between Coca-Cola Hrvatska as the supplier and one catering establishment that purchases its products. The agreement concerned contains an obligation which makes the buyer purchase all his requirements including fruit juices, ice teas, energy drinks and mineral waters exclusively from one supplier – Coca-Cola Hrvatska and its range of products, at the same time obliging the buyer to constantly offer the whole product assortment of Coca-Cola Hrvatska but also all of its new products in the specified category of soft drinks. The CCA found that Coca-Cola Hrvatska has also concluded contracts with other catering facilities imposing the obligation on the buyers to exclusively stock and offer to its customers the Coca-Cola products including fruit juices, ice-teas, energy drinks and mineral waters as long as the contract is in effect. In the majority of catering establishments Coca-Cola Hrvatska is an unavoidable trading partner on the market, because its soft drink brand Coca-Cola is a ‘must stock item’ and preferred by many final consumers. Therefore, imposing an obligation on the buyer to exclusively purchase other products of this supplier indicates possible placing of the buyer at a competitive disadvantage regarding the competitors of Coca-Cola Hrvatska on the account of the fact that the buyer cannot buy their products any more, or regarding other buyers that have not been imposed such obligations by Coca-Cola Hrvatska. The above-mentioned provisions also indicate the likelihood of making the conclusion of contracts on the purchase of Coca-Cola soft drink, the brand itself, subject to acceptance of supplementary obligations which, by their nature or according to commercial usage, have no connection with the subject of such contracts. Given the fact that Coca-Cola Hrvatska is for many hotels, bars and restaurants in Croatia, when it comes to soft drinks, the unavoidable trading partner, the imposition of the obligation on the buyer to buy beside the soft drinks also the fruit juices, ice teas, energy drinks and mineral waters exclusively of the Coca-Cola brand is sufficient circumstantial evidence serving as the basis for the initiation of an infringement proceeding dealing with the establishment of a prohibited agreement. Taking into account the likely dominant position of Coca-Cola Hrvatska in the production and sales of non-alcoholic soft drinks or so called “cola-drinks” the exclusive purchasing provisions suffice as circumstantial evidence for the initiation of the proceeding dealing with the establishment of abuse of a dominant position with the view to defining whether the market power Coca-Cola Hrvatska holds on the soft drinks market can be leveraged into the production and sales of fruit juices, ice teas, energy drinks and mineral waters market. The CCA opened the infringement proceeding solely against Coca-Cola Hrvatska as a contracting party that defined the terms under the contracts concerned. It must be noted here that the mere opening of an infringement procedure against an undertaking does not necessarily mean that the practices at issue constitute an infringement of the Competition Act. In the course of the proceeding the CCA must establish all the relevant facts of the case and concrete evidence that substantiate the indications on the basis of which the procedure has been opened in the first place. Only after all the relevant facts has been established the CCA will decide on the merits and close the proceeding. Its final decision will be published in its entirety on this website, save for the information covered by confidentiality obligation.